OK. Last Marfa post. I promise (at least until our next visit). 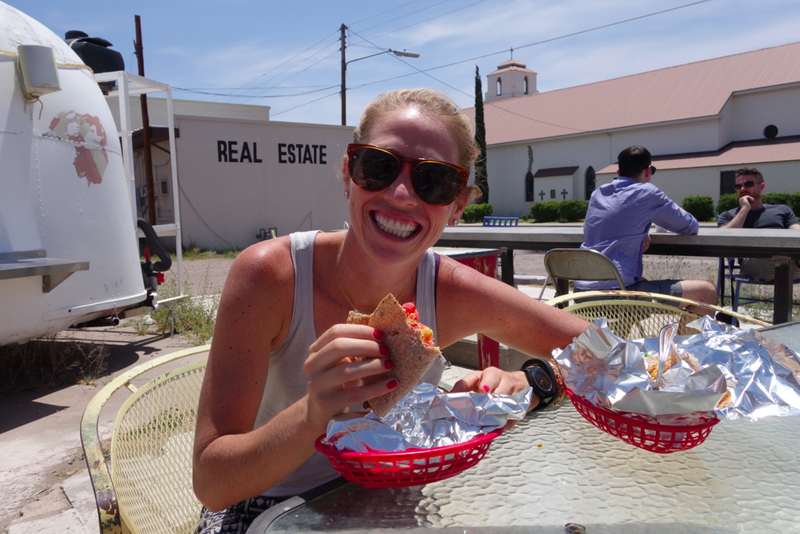 In addition to its art scene, Marfa is also known for its food. Specifically, food trucks. (Well yes, there are only 3 or so of them, but these 3 make it a big FOOD scene). 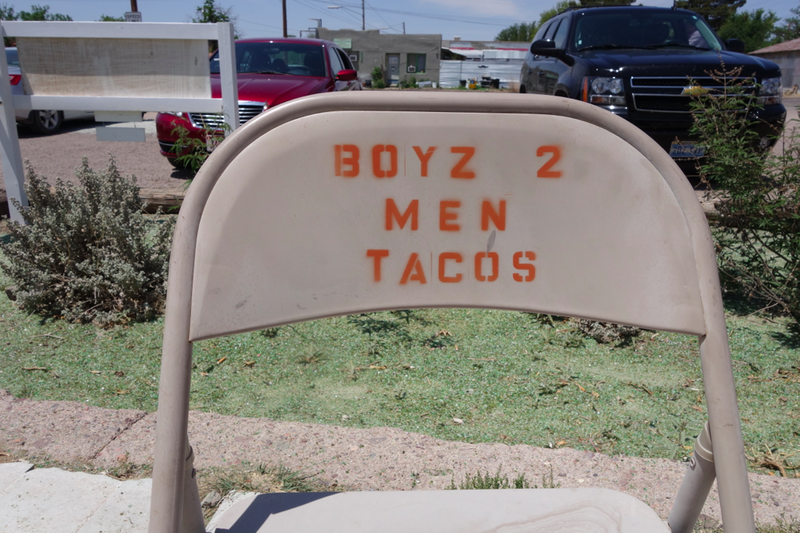 And we were thrilled with our choice of Boyz 2 Men (not the music group, ABC BBD, but the food truck). Taco Truck Extraordinaire! Everything about this dining experience was hip, delicious, cool, and mo-town fun. The operators of the truck were a little sassy (or a lot sassy) which made the experience different and quirky. 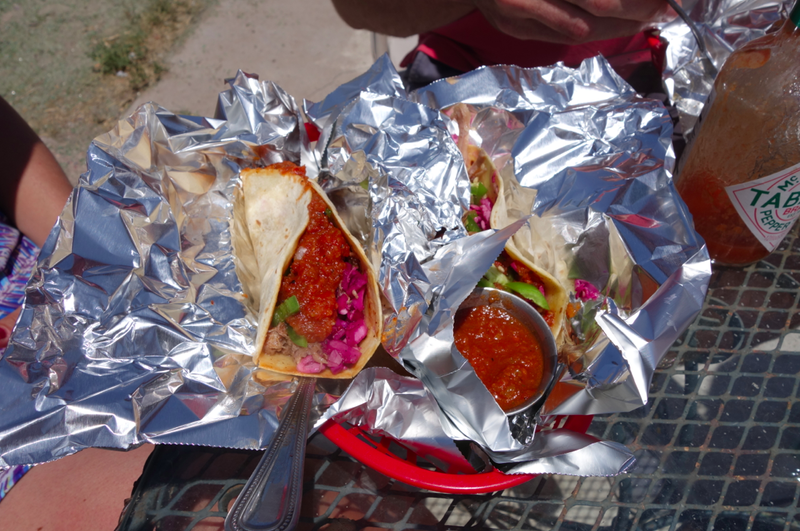 Not your ordinary tacos. You had to pick out your order from a binder full of options (or as they pronounced, it binn-dur), that alone gave my head a whirl. But the food, THE FOOD, amazing! Beyond delicious! 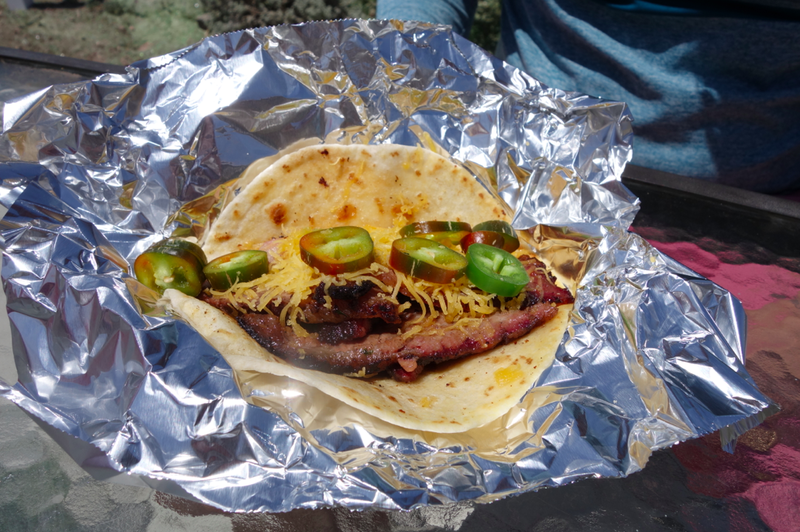 Brisket taco with jalapeno and cheese. Ken said this was the best brisket he’s ever had. I passed. 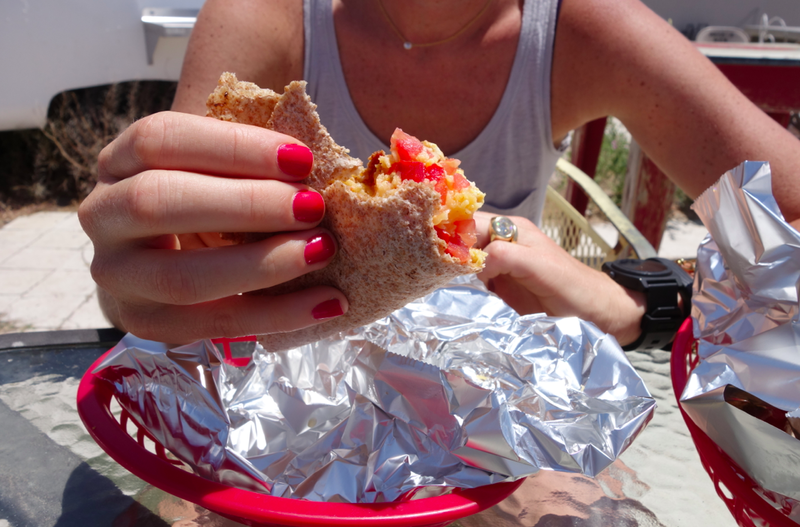 Chorizo, egg, tomatoes and cheese. Ken’s choice. Boyz 2 Men has been around since 2012. 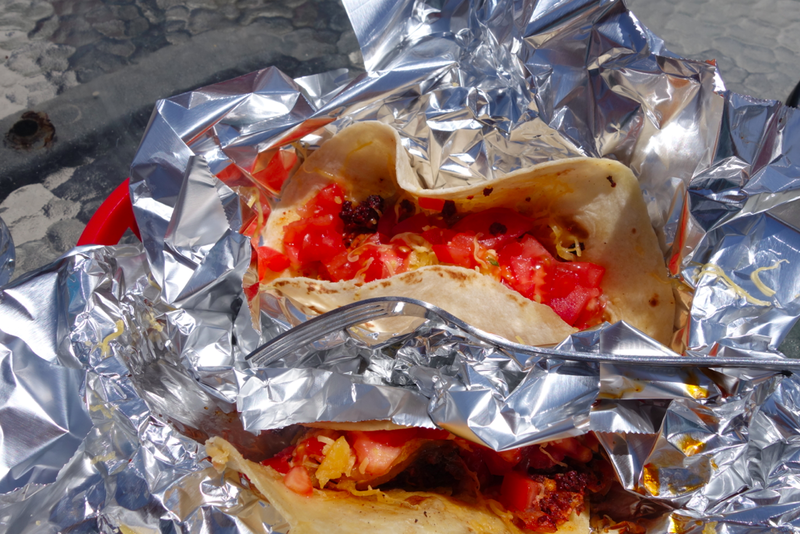 It is best known for its brisket tacos, pulled pork tacos, breakfast tacos, vegan items, coffee, chili, grits and home fries. All scrumptious. 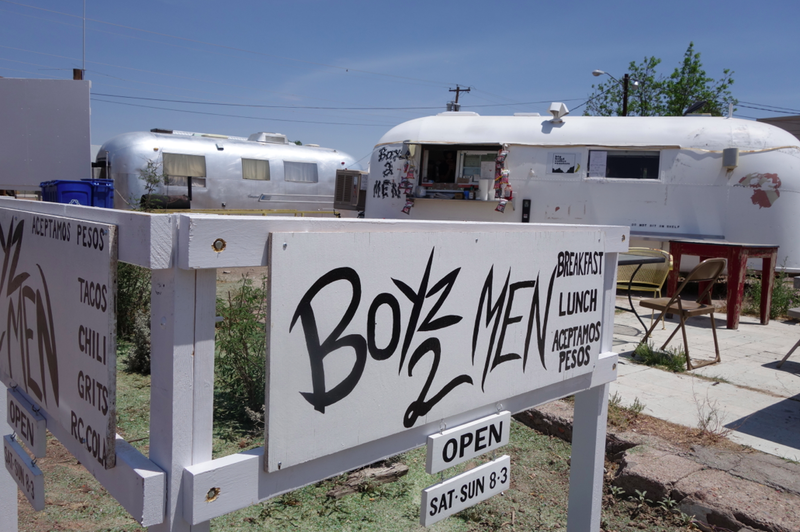 Worth the visit if you happen to be in Marfa. 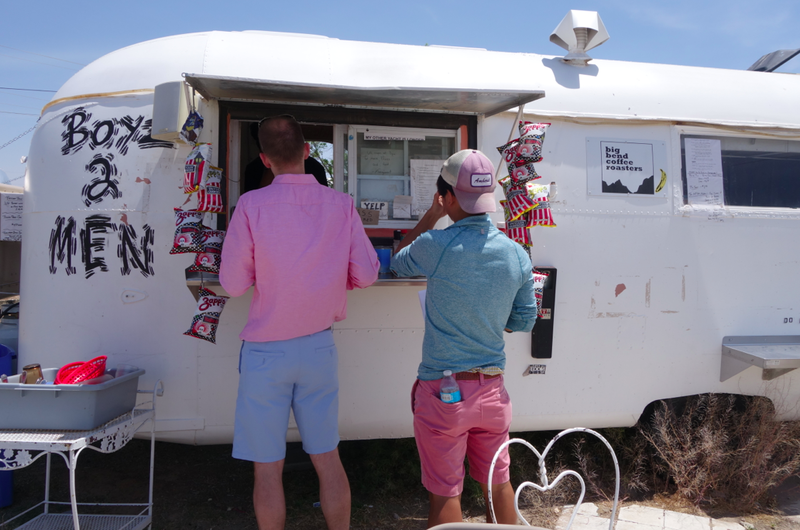 For more on our trip, click here for a recap, and here for more on Prada Marfa! Have a great weekend — Happy Memorial Day! how fun!!! love the name.